Please tell me if you saw anything worth seeing this month! Villain lovers save the day. No shortage of fighting superheroes. 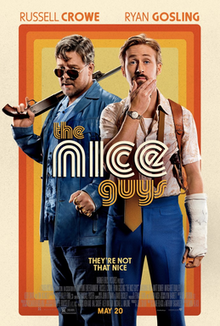 I haven’t seen any of those movies but would like to see The Nice Guys because Ryan Gosling. I am looking forward to seeing the new Captain America movie. I’ve enjoyed most of the Marvel movies. Except the Thor movies. They were okay.